I myself am grateful to have never suffered from alopecia areata (a bald patch) or any form of severe hair-loss. However, there was a period in my life, roughly 3 years ago when I was going through a really tough time – a series of stressful events, including a move, the death of a relative and a job change all in the space of 4 months. I’m generally quite a healthy person – I’m quite aware of what I eat on a daily basis and monitor my diet, I exercise regularly and take good care of my body overall. However, during the course of these 4 months, I started noticing that I was loosing small, but noticeable clumps of hair in the shower – especially when I towel-dried. Perplexed by this, I spoke to a close friend of mine who’s a vegan and swears by the book when it comes to natural and raw products. She was really helpful and explained that this was largely caused by the stress of this great culmination of stressful events in such a short space of time. It’s not uncommon for our stress to manifest itself physically on our bodies when we’re stretched to limit. The result of my stress in this case, was hair loss. She recommended that I use Witch Hazel Oil in my normal conditioner and that I stop using normal shampoo. I also increased the amount of almonds in my diet and in no time my hair was back to normal. It was after that experience that I decided to start taking natural products a lot more seriously. What Is Witch Hazel Oil & Where Does It Come From? Although this has nothing to do with witchcraft, the dark arts, spells or magic, Witch Hazel oil is truly magical stuff! Nature’s own anti-bacterial astringent (coagulant) and one stop skin care product. Witch Hazel is a shrub that is native to North America, Japan and China. However the main source of Witch Hazel on a global basis is in North America. This plant has been a part of Native American culture for centuries and formed the basis of a lot of traditional medicines and remedies. The roots, bark and leaves were crushed, boiled and turned into a decoction (essentially, an extraction process that takes out all the essential oils) and was used to treat wounds, sores, swellings, inflammation and even tumors. Witch Hazel is seasonal (or deciduous) plant that tends to bloom in winter (September – November) and is sometimes also referred to as Winterbloom. 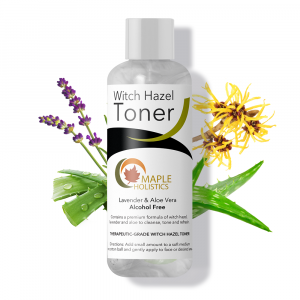 Witch Hazel oil is an amazing natural treatment for acne and skincare because of its anti-bacterial and natural astringent qualities. Basically, the astringent qualities of Witch Hazel oil will remove excess oil and sebum that is produced by acne or blemish-prone skin types and builds up over time, clogging pores and leading to blackheads or sores. Witch Hazel oil does not only remove and unclog the pores, but the astringent nature of the oil also helps to tighten the skin and help seal your pores thereafter, preventing further sebum build-up or blockage. The oil also has a strong antibacterial effect and a high concentration of tannins, which means it will remove any germs or dead skin cells that often remain after regular washing, and lead to blemishes. The tannins in Witch Hazel oil also lend itself to the oil’s naturally high level of astringency. 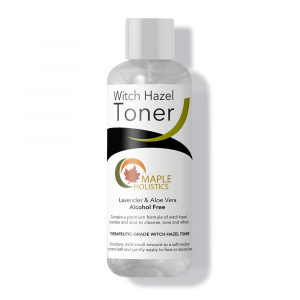 On a side-note, Witch Hazel oil also acts as a natural make-up remover – an important aspect of skincare for women as a lot of makeup brands have comedogenic qualities, which essentially means that they clog pores and lead to blackheads. The amazing qualities of Witch Hazel oil don’t stop there. Witch Hazel oil is also a natural remedy for dandruff. Before washing with your normal conditioner or shampoo, we advise that you massage some Witch Hazel oil into your dry or flaky scalp and wait roughly 100 minutes, then wash normally (with your shampoo). Watch as the flakes are removed almost immediately. For ensured results, use repeatedly. 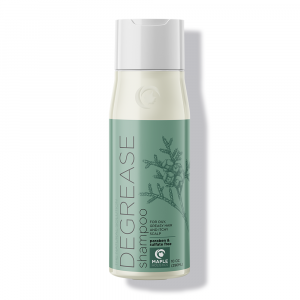 Alternatively, you can also add the Witch Hazel oil to your shampoo as a way to address frizzy hair. 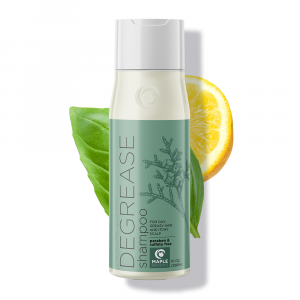 It acts as a natural conditioner and slows your scalps production of oil and also seeks to raise the roots of your hair – giving your hair more volume, without the frizz! Witch Hazel oil will also soothe an irritated or itchy scalp (often caused by psoriasis). 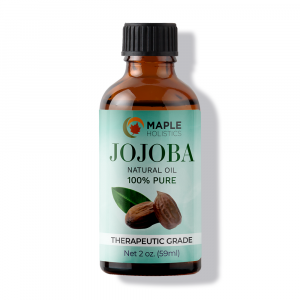 By massaging it into your scalp your scalp, the antibacterial qualities of the oil will ensure that the dry, flaky hair cells are removed for good! Thus helping to relieve you of any discomfort. Wonderful witch hazel oil is even a strong anti-inflammatory, meaning that any redness or inflammation on your scalp can be treated with a regular application of the oil. Now, there is something I’d like to make clear before you continue reading this section. 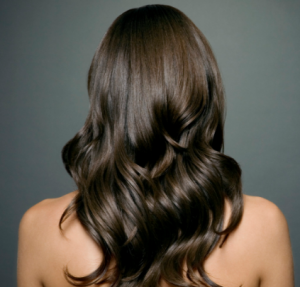 Witch Hazel oil does not lead to or stimulate hair growth – it mainly slows and prevents the conditions of hair-loss. If you are however looking for a product to help stimulate hair-growth, I’d highly recommend natural Almond Oil (in it’s raw form) as a way of regenerating hair follicles and promoting hair growth. With regards to hair-loss, Witch Hazel oil’s astringent qualities come into play again. One of the main reasons for hair loss in both men and women is caused by a weakening of the follicles in your scalp, meaning that your hair isn’t held as tightly in place anymore. 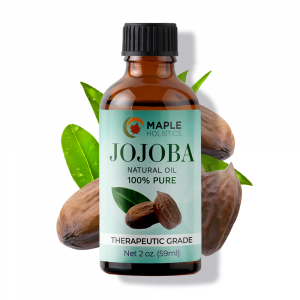 By massaging the oil into your scalp, you actively stimulate the circulation of blood cells under the skin which helps to strengthen the grip of the follicles in your scalp, making them stronger. The astringent qualities of the oil also helps to strengthen the follicles grip by actively working to close the pores in one’s scalp thus aiding your scalps grip on the hair follicles. Of course, you could always try Rogaine for men and women! Witch Hazel oil is very easy to make, granted of course that you have a Witch Hazel shrub. Speak to your local nursery about sourcing a shrub for you (if they don’t already have one in stock). 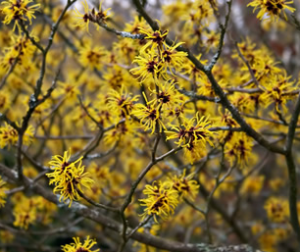 As a point of interest, Witch Hazel grows most commonly from Northeastern to Southeastern America if you’re interested in picking some for yourself. Step 1: Trim roughly 1 pound of twigs from the shrub as soon as they have flowered (roughly around mid to late fall). Step 2: It’s important to remove all the leaves and flowers from each branch (these can be saved for later) and then chop/mulch the branches into a coarse, rough mulch. If you have a mulcher available, we highly recommend that you use it here! Step 3: Place the newly chopped twig-mulch into a 2-gallon steel pot and fill them it with distilled water. Place a lid on top and bring to a boil. Step 4: Once the mixture reaches boiling point, reduce heat to a simmer and cover the pot. You have to cook the mixture for 8 hours, adding water when necessary to cover the mulch. Step 5: Allow the mixture to cool to room temperature and then pour the mixture through a funnel containing a cheesecloth filter into plastic or glass bottles. Ensure that whichever container you decide to use, can be shut tightly. You should use the oil within a week if kept at room temperature, however, you can store the oil in a refrigerator for a long term storage. If you have to store the oil at room temperature, but would like to increase it’s shelf-life, simply add 9 ounces of Vodka or grain alcohol to 23 ounces of oil. Voila! In general, Witch Hazel oil is considered a risk-free treatment. In reality, it only has negative effects on a very small percentage of people who use it on a regular basis. However, for the sake of safety, I feel compelled to list these just in case you might fall into that tiny minority. Firstly, most wouldn’t recommend that you use Witch Hazel oil daily. Again, it shouldn’t cause in issues in small amounts, and even if a larger dose is accidentally ingested – you should be fine. However, some doctors argue that it can lead to a dry mouth and in some incredibly rare case, has lead to or caused kidney troubles (largely due to its strong astringent properties). Of course, some people might actually be allergic to the stuff in which case you should refrain from using it. Although, because it’s such a specific allergy to have, the only way that you’d know you were allergic is by coming into contact with it. Finally, some people have reported that excessive use of Witch Hazel oil can actually stimulate their eczema or psoriasis – ironically both are ailments that Witch Hazel oil is used to treat. In general, if your skin reacts badly after using the stuff, we suggest you stop. If however you’re feeling fine and showing good results after an extended period of use, make sure you stick to the dosage that you’re using on a regular basis – don’t up the ante’ or over do anything in the hopes of speeding up a recovery process. You might only worsen your ailment. In conclusion, we really hope you give this stuff a try. 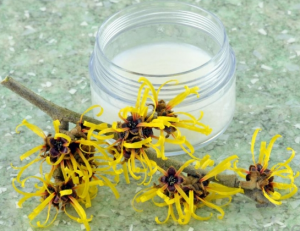 Witch Hazel oil has been a natural remedy and a part of North American culture for centuries. For good reason, too! Healthcare and natural remedy specialists across the board recommend and support the use of Witch Hazel oil across the board! For everything from athlete’s foot to acne and hair loss. It’s safe and effective so-long as you stick to a regulated dosage – and not to mention cheap and readily available. After using this stuff for even a week, we’re pretty sure you’ll carry a bottle around with you wherever, whenever.